Bolt Pattern to Mount to Engine: (4) 5/16" holes on a 3-5/8" bolt circle, and (4) 5/16" holes on a 5" bolt circle. Q: Will this plate work with 40 series driver and driven? 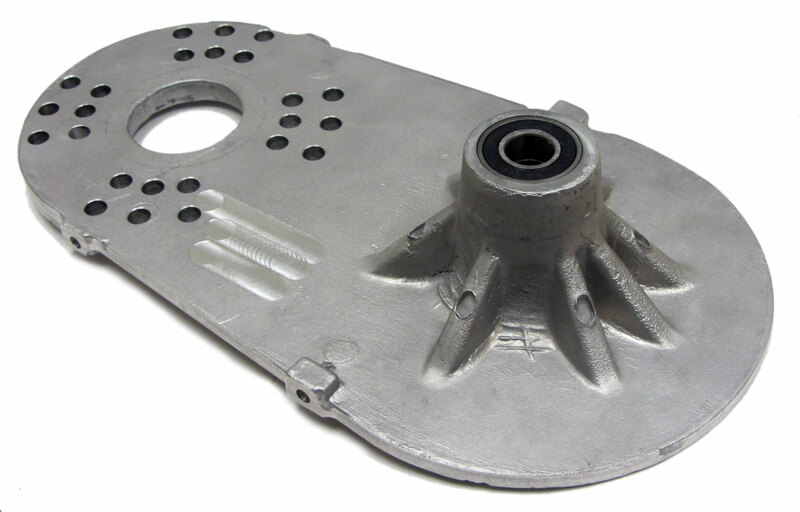 Q: What size bore is the driven part of the plate thanks ? A: I assume you are referring to the ID of the bearing, it is 5/8". 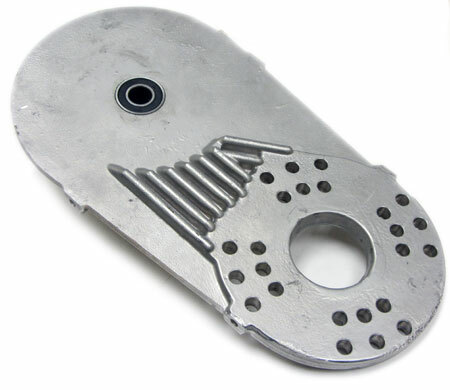 This is backplate utilizes a 5/8" OD jackshaft the driven rides on. Q: what is the length from front to back and width please?